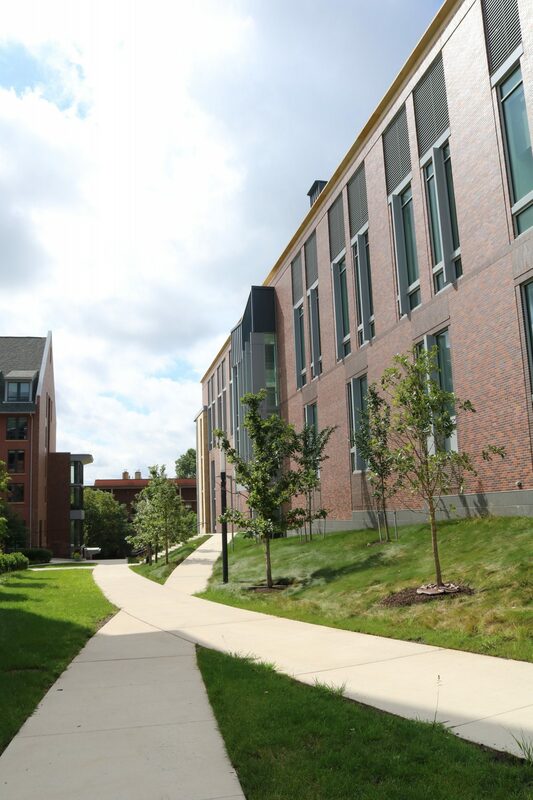 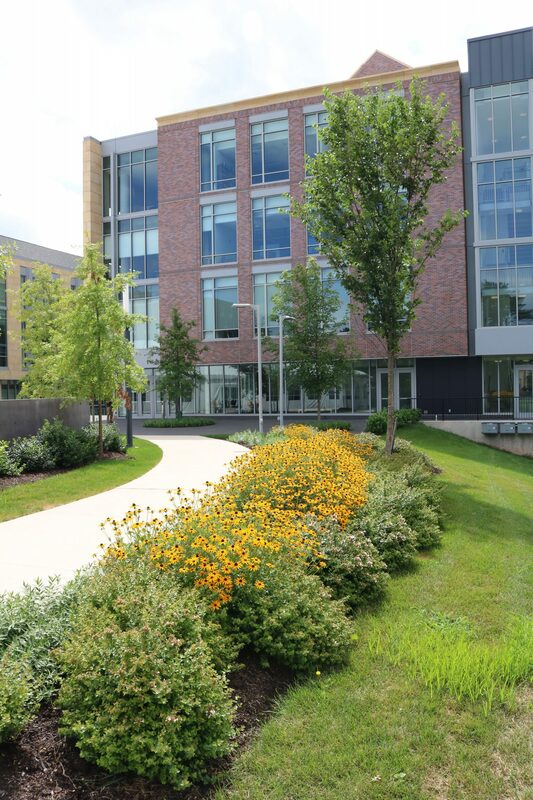 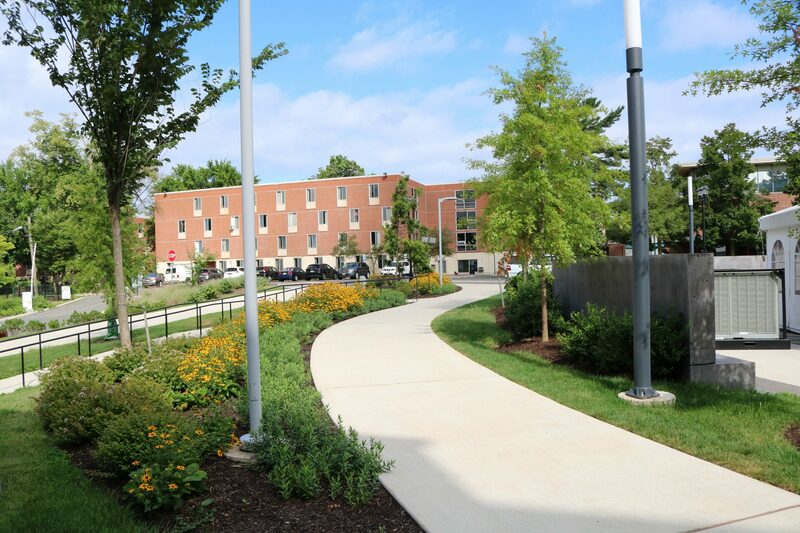 Let It Grow was contracted to install full landscape and irrigation around the new Rutgers Academic facility which included the entire building perimeter as well as surrounding areas that tied in to the next door Rutgers Honors building. 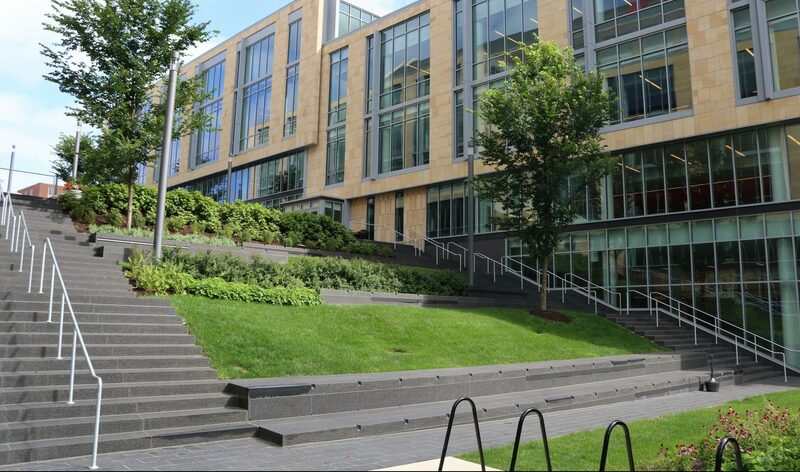 The landscape design incorporated in this project softens the large amounts of black granite pavers, stair treads, and granite seating. 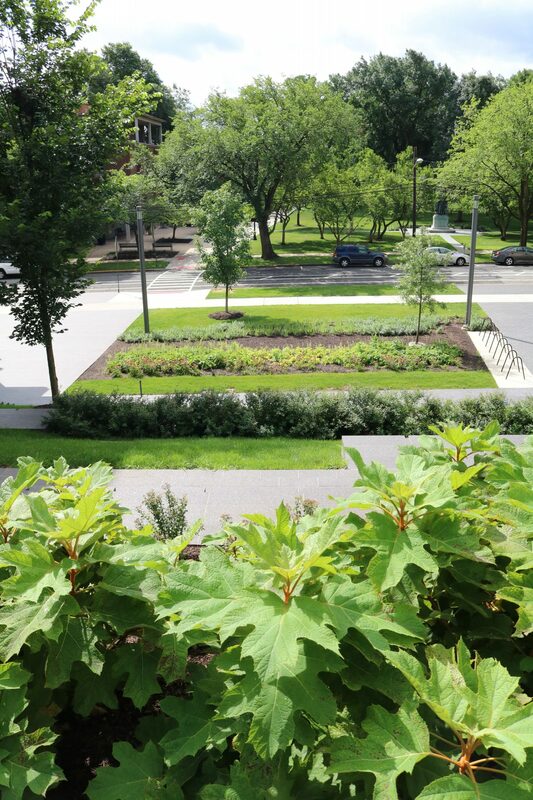 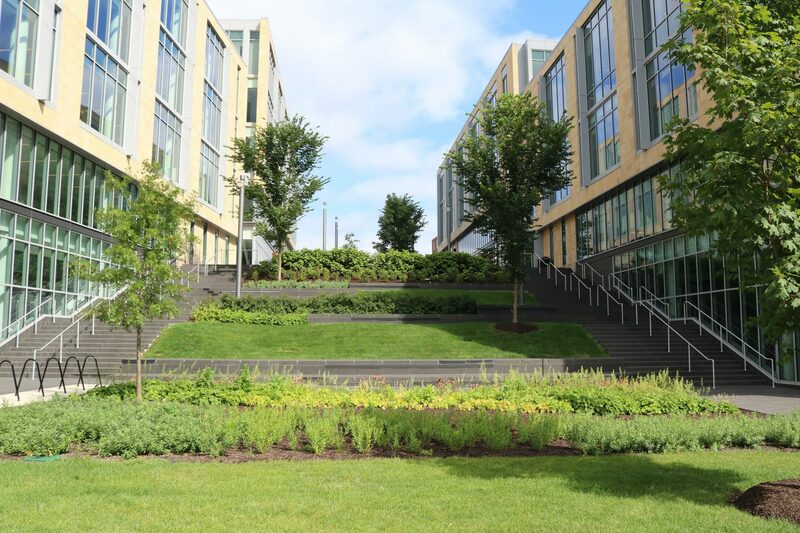 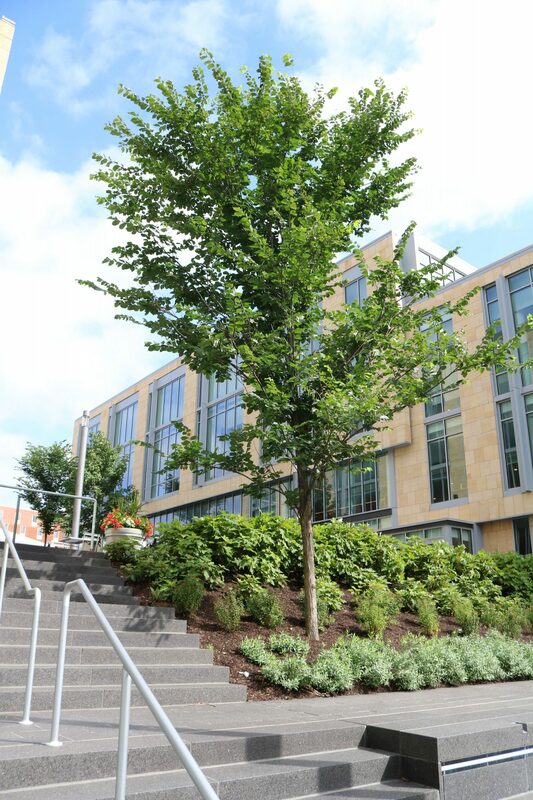 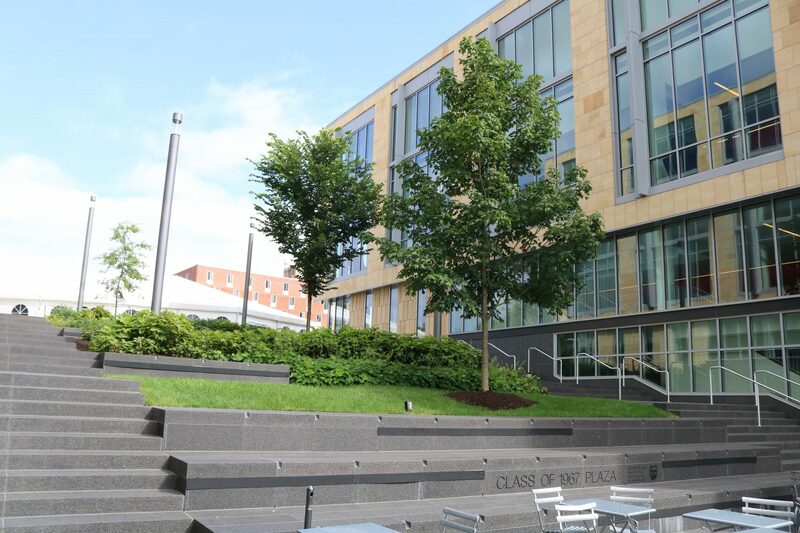 Irrigation was installed around the entire building along with individual planters formed by large granite seat blocks in order to keep this landscape vibrant and healthy all year.